According to the 1891 Census, brothers Charles and Moroni England were living together in no.1 Julian Street, Heigham, Norfolk. Both of them were married, but neither of them had their wives or family with them. Moroni (age 40) was born in Norfolk, but Charles, listed first and age 27, was born in the USA. This is somewhat puzzling, but explained by the fact that the occupation listed for both of them was Latter Day Saint (missionary). These were men who had left their young families behind in order to serve a proselyting mission in their homeland. They belonged to a family in which the older generation converted to Mormonism in Norfolk in the 1850s and then emigrated to be with the Saints in Utah Territory. Moroni England was born in North Walsham in 1850, and was just six years old when his family - father Daniel, mother Mary Ann (nee Melder) and two older brothers, William and John – emigrated, setting off to join the growing church in America. The family crossed from Liverpool to New York in the ship Thornton with almost 500 other new converts, under the leadership of James Willie. Financial assistance from the Perpetual Emigration Fund helped them on their way. The voyage took six weeks and was followed by a train journey to Iowa City, where the group became the Willie Handcart Company for the trek west. However, the England family left the company in Florence Nebraska and stayed there for four years, working to get enough money to continue their journey. Their stop was a lucky one, as the fate of that handcart company is well documented. Leaving rather late in the season and caught in early, severe snowstorms as they crossed Wyoming. Rescue parties had to be sent from Salt Lake City, with 77 of the company perishing from hunger and cold. Moroni’s family did not leave for the Salt Lake Valley until July 1860 and on arrival settled in Tooele, some 35 miles to the south and west. 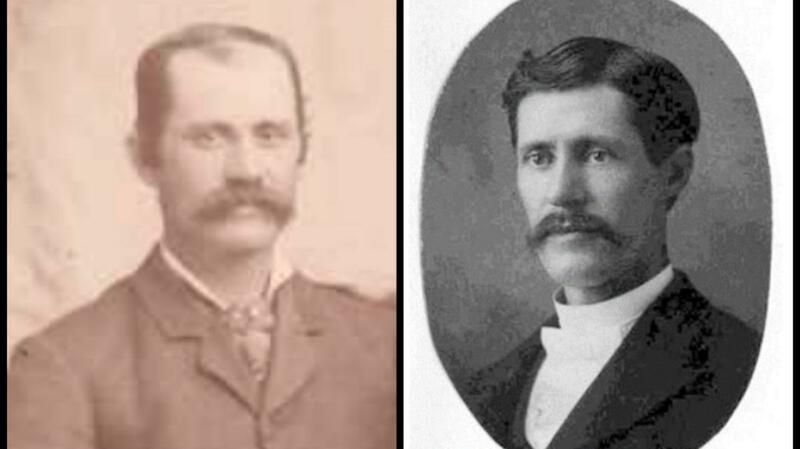 Charles England was born in Tooele in 1863, but not to Daniel and Mary Ann. He was the son of William England, Moroni’s older brother who had followed the family to Utah Territory with his new wife Eliza (nee Seamons). Charles was born in fact when his mother was visiting the grandparents, Daniel and Mary Ann. Otherwise the William England family had settled in Hyde Park, some 85 miles north of Salt Lake City. So Moroni was in fact Charles’ uncle, not his brother as stated in the 1891 Census. A generation but only 13 years apart, these two ‘brothers’ each learned about hard work through their experiences growing up in Utah Territory. The 1870 U.S. Census shows Moroni age 20 a farm labourer, living at home with his parents in Tooele. Charles’ father died when Charles was only 12, so he became the breadwinner for his mother, three sisters, and three infant brothers. He paid for his 12 weeks of schooling each winter by working for the school janitor. During the months when outdoor work could be done he gradually learned to farm. Charles received his missionary call in 1889; his uncle Moroni received his call the following year. Both were called to serve in Great Britain, and were assigned to work in Norfolk.